So I'm curious to hear from GA pilots, Airport Managers, and others on what the biggest daily challenges for GA Airports are? I'm not talking about macro issues - federal/state/local funding, scarcity of land, governmental entities run wild (see Santa Monica Airport), etc - I'm interested in the daily operational issues of the local 5000' paved GA airport. On the outside, these airports and FBOs see to be fairly straight forward enterprises, whether run by a municipality or privately operated. But I imagine it's not that simple. Note: I am a private pilot and aircraft owner, primarily looking to expand my knowledge of the business of aviation - particularly GA. This question is intentionally broad, but I imagine will yield some fairly insightful specific answers. I'm primarily concerned with answers pertaining to the overall business success of an airport or FBO. I understand that this might yield answers with a number of variables, but should overall have the common theme of reasons for business success or failure of the operator which is a key component of the continued operation of the airport facility itself. Wind conditions causing a conflict over whether Runway 35 or 17 should be in use. Pilots doing straight in instrument approaches, while VFR pilots do pattern practice. Conflicting planes on the single taxiway. Indeed, I think the FAA understands this, since they are using it as the first US test site for a remote control tower. The several times I've flown when this was in operation where a breath of fresh air! Not the answer you're looking for? 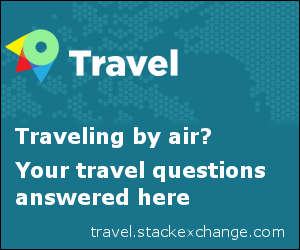 Browse other questions tagged airport or ask your own question. What are the steep ramps often erected at large airports? What are the largest airports in terms of size, gates, and stands? Are there specific regulations for airports near water bodies? Is there an efficiency measure for airports? What are the practical impacts of airports in the US being mostly IATA Level 2? Why is the ICAO prefix for Alaskan airports “P”?